The West Virginia Agricultural Advisory Board came together to develop a five-year strategic plan to guide the growth of the agricultural economy in West Virginia. West Virginia’s abundant land holds promise for agricultural prosperity for the state and its people. In 2016, West Virginia farmers produced more than $700 million in sales of crops, livestock, poultry, fruits, vegetables and more. And, leaders believe this is only the beginning of what could be a major economic driver for the state’s economy. 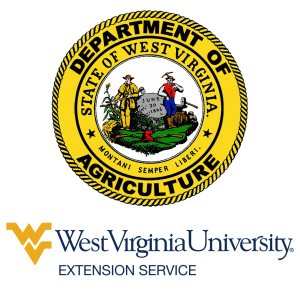 In order to identify opportunities for growth, the Agricultural Advisory Board, which is comprised of Governor Jim Justice, Commissioner of Agriculture Kent Leonhardt and Dean of WVU Extension Service Steven Bonanno, appointed a steering committee tasked with leading a process to develop a long-term, sustainable plan to maximize the agricultural sector in West Virginia. Pittsburgh-based Fourth Economy Consulting facilitated a nine-month process to guide the advisory board in shaping the future of agriculture in West Virginia. As part of developing the plan, 14 community meetings with over 350 participants were held in each of the state’s conservation districts and a state-wide survey of over 500 stakeholders was conducted.